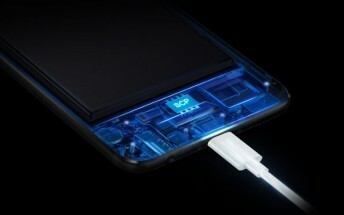 Huawei’s Watt Lab is talking up a next-generation quick charging technology, which could fill a phone’s battery to 48% in just 5 minutes. The setup shown in the video is a bit unconventional, however. The good stuff starts around the 50 second mark. You can see that the battery has many more connectors than a battery you find in phones today. Subdividing the battery and charging each piece separately is not a new trick but it sure is effective. But notice that you don’t charge the battery inside the phone – instead the battery is taken out and charged in an external device. We wouldn’t object to removable batteries making a comeback, but we’re not holding our breath. To be fair, removable batteries were pretty standard in 2015 – which is when this video was first published. Check out an article by Computerworld, which even features a screen cap. The article also mentions the battery capacity (which the video conveniently omits), 3,000mAh. It would be cool to see this tech hit the market, but it has been over two years now. Is Huawei hyping it up for the MWC? One could hope, but perhaps one would save themselves some disappointment if they didn't.